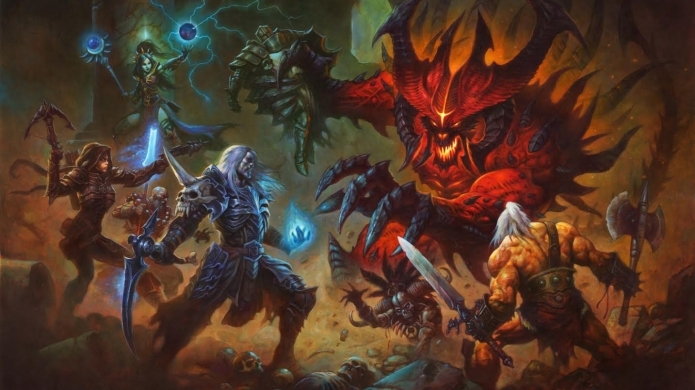 Veteran Diablo III players are in for a treat next Season with Blizzard and the team looking to make it a game changer when it comes to high level end-game play. It's all incredibly interesting stuff for veteran players and newcomers alike (thanks the the recent Nintendo Switch release) as it focuses on making just about every legendary set viable for high-level Greater Rifts. And then there's the Seasonal 'game changer'. Which "gives all Seasonal players the legendary power from Ring of Royal Grandeur", a staple in every build that took up either a ring slot or the jewelry slot on Kanai's Cube. Also, "When completing a Greater Rift level 70 solo for the first time in a Season, a Primal Legendary is guaranteed to drop from the Rift Guardian". Also, Primal Legendaries will be marked by a red beam when they drop, and by a red pentagram icon on the mini-map. Very cool. The update aims to shift the focus away from Paragon Points to straight up interesting builds - which will definitely shake up the handful of high-level builds that have been dominating Diablo III for quite sometime. The following PTR patch notes for 2.6.4 are subject to change, but the numbers they indicate - well, they're incredible. And definitely game changing. Quality of Life - For this patch, we wanted to include a few frequently requested Quality of Life changes and focused on better celebrating and indicating Primal Legendary drops. Greater Rifts - The gameplay of micro-managing Paragon points during the course of a Greater Rift doesn't feel like especially engaging gameplay, nor was it consistent with the other existing rules of entering a Greater Rift. In addition, the below change to matchmaking is to make it much easier for all players to find groups for Greater Rifts, as the previous window (only between Greater Rifts) is typically very small. This buff does not stack with additional Ring of Royal Grandeur (either equipped or in Kanai's Cube). Unlike previous Seasonal buffs, this buff will not apply to Non-Seasonal players. Class Set Changes - We are taking another tuning pass across all class sets to improve class and set diversity at higher level Greater Rifts. Please note that these values are not final and we anticipate some adjustments to occur during the course of PTR. What's awesome is that it makes the Legacy of Nightmares ring set viable again, which adds bonuses to any non-set legendary item you have equipped - opening the door to what could be a whole suite of interesting and fun new builds. One point of concern though, is that these buffs will make the Torment 13 difficulty level breezier than ever, so perhaps a difficulty buff should also be on the cards.